New in ParkMyCloud: we’ve released integrations with chat clients Google Hangouts and Microsoft Teams to make cloud server monitoring easier and integrated into your day. Now, ParkMyCloud users can get notifications when their resources are about to turn on or off, when a user overrides a schedule, and more. We created these integrations based on popular demand! ParkMyCloud has had a Slack integration since last summer. Now, we’re encountering more and more teams that set themselves up as pure Google or pure Microsoft shops, hence the need. If your team only uses Google tools – Google Cloud Platform for cloud, Google OAuth for SSO, and Google Hangouts for chat — you can use ParkMyCloud with all of these. Same with Microsoft: ParkMyCloud integrates with Microsoft Azure, ADFS, and Microsoft Teams. Resource Shutdown Warning – Provides a 15-minute warning before an instance is scheduled to be parked due to a schedule or expiring schedule override. User Actions – These are actions performed by users in ParkMyCloud such as manual resource state toggles, attachment or detachment of schedules, credential updates, etc. Parking Actions – These are actions specifically related to parking such as automatic starting or stopping of resources based on defined parking schedules. Policy Actions – These are actions specifically related to configured policies in ParkMyCloud such as automatic schedule attachments based on a set rule. System Errors – These are errors occurring within the system itself such as discovery errors, parking errors, invalid credential permissions, etc. System Maintenance and Updates – These are the notifications provided via the banner at the top of the dashboard. There are a few ways these can be useful. If you’re an IT administrator and you see your users toggling resource states frequently, the notifications may help you determine the best parking schedule for the users’ needs. Or let’s say you’re a developer deep in a project and you get a notification that your instance is about to be shut down — but you still need that instance while you finish your work. Right in your Microsoft Teams window, you can send an override command to ParkMyCloud to keep the instance running for a couple more hours. These integrations give ParkMyCloud users a better perspective into cloud server monitoring, right in the same workspaces they’re using every day. Feedback? Comment below or shoot us an email – we are happy to hear from you! P.S. We also just created a user community on Slack! Feel free to join here for cloud cost, automation, and DevOps discussions. When companies move from on-prem workloads to the cloud, common concerns arise around costs, security, and cloud user management. Each cloud provider handles user permissions in a slightly different way, with varying terminology and roles available to assign to each of your end users. Let’s explore a few of the differences in users and roles within Amazon Web Services (AWS), Microsoft Azure, Google Cloud Platform, and Alibaba Cloud. Both users and roles can have IAM policies attached, which give specific permissions to operate or view any of the other AWS services. Each Security Principal can be assigned a Role Definition, which is a collection of permissions that they can utilize to view or access resources in Azure. There are a few built-in Role Definitions, such as Owner, Contributor, Reader, and User Access Administrator, but you can also create custom role definitions as well depending on your cloud user management needs. Roles may be assigned on a subscription by subscription basis. Roles in Google Cloud IAM are a collection of permissions. There are some primitive roles (Owner, Editor, and Viewer), some predefined roles, and the ability to create custom roles with specific permissions through an IAM policy. RAM users and roles can have one or more authorization policies attached to them, which in turn can each have multiple permissions in each policy. These permissions then work similarly to other CSPs, where a User or Role can have access to view or act upon a given resource. As you can see, each cloud service provider has a way to enable users to access the resources they need in a limited scope, though each method is slightly different. Your organization will need to come up with the policies and roles you want your users to have, which is a balancing act between allowing users to do their jobs and not letting them break the bank (or your infrastructure). The good news is that you will certainly have the tools available to provide granular access control for your cloud user management, regardless of the cloud (or clouds) you’re using. Lately, we’ve been thinking about cloud computing jobs and titles we’ve been seeing in the space. One of the great things about talking with ParkMyCloud users is that we get to talk to a variety of different people. That’s right – even though we’re laser-focused on cloud cost optimization, it turns out that can matter to a lot of different people in an organization. (And no wonder, given the size of wasted spend – that hits people’s’ buttons). You know the cloud computing market is growing. You know that means new employment opportunities, and new niches in which to make yourself valuable. So what cloud computing jobs should you check out? Cloud Operations. Cloud operations engineers, managers, and similar are the people we speak with most often at ParkMyCloud, and they are typically the cloud infrastructure experts in the organization. This is a great opportunity for sysadmins looking to work in newer technology. If you’re interested in cloud operations, definitely work on certifications from AWS, Azure, Google, or your cloud provider of choice. Attend meetups and subscribe to industry blogs – the cloud providers innovate at a rapid pace, and the better you keep up with their products and solutions, the more competitive you’ll be. See also: DevOps, cloud infrastructure, cloud architecture, and IT Operations. Customer Success, cloud support, or other customer-facing jobs at a managed service provider (MSP). As we recently discussed, there’s a growing market of small IT providers focusing on hybrid cloud in the managed services space. The opportunities at MSPs aren’t limited to customer success, of course – just in the past week we’ve talked to people with the following titles at MSPs: Cloud Analyst, Cloud Engineer, Cloud Champion/Cloud Optimization Engineer, CTO, and Engagement Architect. Also consider: pre-sales engineering at one of the many software providers in the cloud space. Site Reliability Engineer. This title, invented by Google, is used for operations specialists who focus on keeping the lights on and the sites running. Job descriptions in this discipline tend to focus on people and processes rather than around the specific infrastructure or tools. Cloud Financial Analyst. See also: cloud cost analyst, cloud financial administrator, IT billing analyst, and similar. Cloud computing jobs aren’t just for technical people — there is a growing field that allows experts to adapt financial skills to this hot market. As mentioned above, since the cloud cost problem is only going to grow, IT organizations need professionals in financial roles focused on cloud. Certifications from cloud providers can be a great way to stand out. What cloud computing jobs are coming next? As the cloud market continues to grow and change, there will be new cloud computing job opportunities – and it can be difficult to predict what’s coming next. Just a few years ago, it was rare to meet someone running an entire cloud enablement team, but that’s becoming the norm at larger, tech-forward organizations. We also see a trend of companies narrowing in “DevOps” roles to have professionals focused on “CloudOps” specifically — as well as variations such as DevFinOps. And although some people hear “automation” and worry that their jobs will disappear, there will always be a need for someone to keep the automation engines running and optimized. We’ll be here. More often than not, public cloud users and enterprises have adopted a multi-cloud or hybrid cloud strategy to meet their cloud computing needs. Taking advantage of features and capabilities from different cloud providers can be a great way to get the most out of the benefits that cloud services can offer, but if not used optimally, these strategies can also result in wasted time, money, and computing capacity. The data is telling – but we won’t stop there. For more insight on the rise of multi-cloud and hybrid cloud strategies, and to demonstrate the impact on cloud spend (and waste) – we have compiled a few more statistics on cloud computing. According to a 451 Research survey, 69% of organizations plan to run a multi-cloud environment by 2019. As they said, “the future of IT is multi-cloud and hybrid” – but with this rise, cloud spending optimization also becomes more of a challenge. 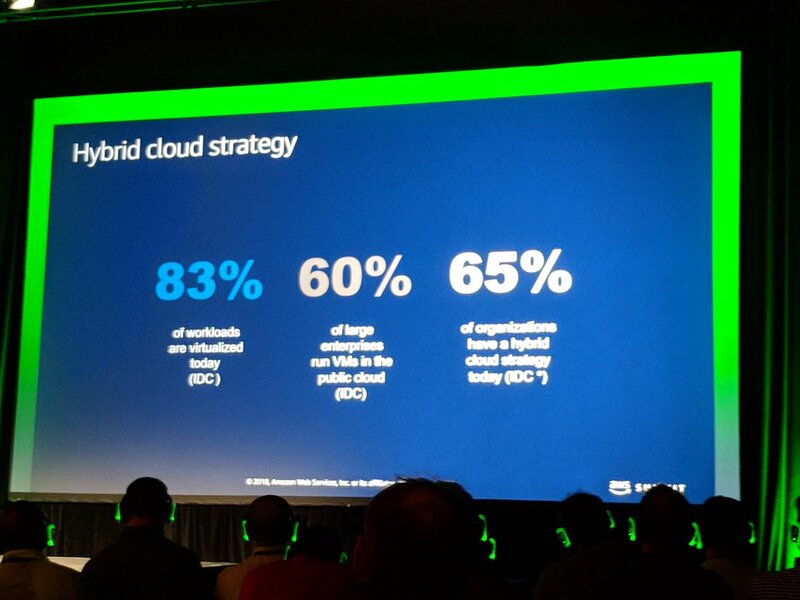 In a survey of nearly 1,000 tech executives and cloud practitioners, over 80% of companies were utilizing a multi-cloud strategy, commonly including a hybrid cloud model consisting of both public and private clouds. And by multi-cloud, we don’t mean just two. On average, the number of private and public clouds used by companies to run applications and test out new services is 4.8. It’s not just public – the rise in cloud spend is happening on all fronts. According to IDC, 62.3 percent of private cloud spending went to on-premise private clouds in 2017. The increase in cloud use, along with the rise of multi-cloud and hybrid cloud strategies, also correlates with an increased investment in cloud services. In a survey of nearly 1,000 tech executives and cloud practitioners, 20% of enterprises plan to increase their cloud spend by more than double, and another 17% plan to up their cloud spending by 50-100%, according to the report. 75% of participants said that one of their primary concerns was the challenge of managing cloud spend. Cloud cost optimization was a priority for the majority of participants, and average cloud waste was reported at 35%. What Does ParkMyCloud User Data Tell Us? A high rate of growth in the number of Google Cloud Platform (GCP) customers over the past several months. While Amazon Web Services still holds the lion’s share among organizations using ParkMyCloud, the rate of growth is much higher for GCP. We believe that as more and larger organizations become enmeshed in GCP’s infrastructure, they are finding a greater need for cost optimization. Among our customers using a multi-cloud strategy, the majority use AWS in combination with Azure, while the rest are using AWS with Google Cloud Platform. The adoption model for AWS and GCP users are similar – both allow small to medium business to start small and adopt quickly, while still supporting the largest companies in the world. On the other hand, Azure customers tend to adopt through Enterprise License Agreements. We encounter few startups using Azure. Upon examining these statistics on cloud computing, it’s clear that multi-cloud and hybrid cloud approaches are not just the future, they’re the current state of affairs. While this offers plenty of advantages to organizations looking to benefit from different cloud capabilities, using more than one CSP complicates governance, cost optimization, and cloud management further as native CSP tools are not multi-cloud. As cloud costs remain a primary concern, it’s crucial for organizations to stay ahead with insight into cloud usage trends to manage spend (and prevent waste). To keep costs in check for a multi-cloud or hybrid cloud environment, optimization tools that can track usage and spend across different cloud providers are a CIO’s best friend. Lately, we have been talking to quite a few providers of cloud managed services that play in both the private and public cloud spaces. These conversations have centered around how cloud management needs are evolving as enterprises’ hybrid and multi-cloud needs have accelerated. Most refer to this market as cloud managed services (for once, no acronym associated), and many of these managed service providers (MSPs) also sell migration services to bring customers from private to public cloud, and cloud services between Amazon Web Services (AWS), Microsoft Azure, and Google Compute Platform (GCP). So these MSPs can help you move your applications to the cloud, sell you the cloud services you’re using, and manage and optimize your cloud services. It’s a rapidly growing market with a lot of M&A activity as MSPs race to provide differentiated cloud managed services that enable them to help enterprises get to market faster, better, and cheaper. The global cloud managed services market size is expected to reach USD 82.51 billion by 2025, according to a study conducted by Grand View Research, Inc. Enterprises are focusing on their primary business operations, which results in higher cloud managed services adoption. Business services, security services, network services, data center services, and mobility services are major categories in the cloud managed services market. Implementation of these services will help enterprises reduce IT and operations costs and will also enhance the productivity of those enterprises. A managed services provider is most often an information technology (IT) services provider that manages and assumes responsibility for providing a defined set of services to its clients either proactively or as the MSP (not the client) determines that services are needed. Cloud management means the software and technologies designed for operating and monitoring applications, data and services residing in the cloud. Cloud management tools help ensure cloud computing-based resources are working optimally and properly interacting with users and other services. Cloud managed services enable organizations to augment competencies that they lack, or to replace functions or processes that incurred huge recurring costs. These services optimize recurring in-house IT costs, transform IT systems and automate business processes allowing enterprises to achieve their business objectives. The “net net” is that MSPs providing managed cloud services enable enterprises to adopt and manage their cloud services more efficiently. In March 2018 Gartner published a Magic Quadrant for Public Cloud Infrastructure Managed Service Providers if your interested to see who they rank as the best of the best in when implementing and operating solutions on AWS, Azure and GCP (note this includes multi-cloud but not hybrid cloud). Several large SI’s are on the list like Accenture, Capgemini, and Deloitte, along with newer born in the cloud pure play MSPs like 2ndWatch, Cloudreach and REANcloud. As you can see, there is a clear bias towards buying “born in the cloud”, public cloud focused MSPs, as that’s where the lack of enterprise expertise lies, and of course the hyper growth is occurring as companies migrate from private to public cloud. Many of these providers started off supporting just AWS, and now need to or have begun supporting Azure and Google as well to support The “big 3” cloud service providers in this new, and emerging multi-cloud world. MSPs that want to get into the cloud managed services game need to realize the pains are different in the public cloud, and that their focus needs to be on helping enterprises with security and governance, managing cloud spending, the lack of resources/expertise, and the ability to manage multi-cloud.